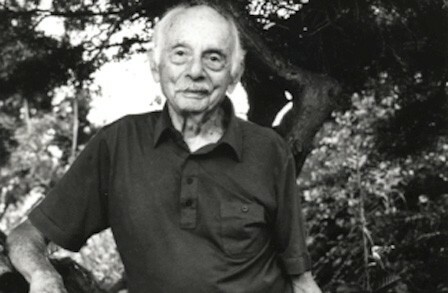 Stanley Kunitz (1905- 2006) was American Pulitzer Prize-winning poet noted for his subtle craftsmanship and his treatment of complex themes. He held the post of the Poet Laureate of America twice, first in 1974 and later in 2000. In this wonderful poem, the poet is meditating on how to reconcile all the losses of life. His griefs (“the slow fire trailing from abandoned campsites”) and banquet table of losses must have included friends and family members and other traumatic experiences. The poet penned this poem at a time when he was about to pull the curtain on a significant phase of his life and was aware that there were fewer milestones ahead. As he roamed through the wreckage of his life, “a nimbus-clouded voice” guided him to “live in layers, not on the litter”. How are we going to live in the layers during our darkest nights of isolation and loneliness? How are we going to appreciate that “every stone on the road” is precious when our sight is obscured by pain and regrets? “Live in layers, not on the litter” is a striking line in this poem. All of us have gone through tough and turbulent times in our life. 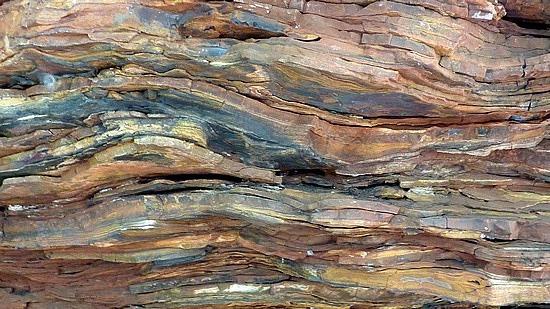 Just like an old tree or rock leaves different rings or layers on its trunk or structure, these layers are embedded in our psyche. The bark and surface debris in a tree or rock (litter) always are meant to be shed and they are not the spots of our true existence. That is why the poet pleads us to navigate our life around layers and shove away the superficial parts of our life. Layers are the true marks that shape and strengthen our life. If we peel through our litters, we will find what is important to us; the layers that affirm our journey. These layers could be defining moments in our profession or personal life or the interactions that directed our destiny. We become whole by having the courage to revisit and embrace all the layers of our lives, denying none of them, so that we're finally able to say, "Yes, all of this is me, and all of this has helped make me who I am." When we get to that point, amazingly, we can look at all the layers together and see the beauty of the whole. In every realm of our lives, we need to have passionate desire to experience the depths, to live in layers. Realistic optimism with a tinge of fatalism (“I lack the art to decipher it”) linger in the last stanza. I wouldn't have understood him without your brilliant commentary. Yet, all said and done, I can't reconcile the seeming contradiction in his two statements: "some principle of being abides from which I struggle not to stray" and "live in the layers, and not on litter". Aren't layers after all future litter and quite apart from that "being" from which the poet struggles not to stray. Perhaps, my vision is clouded by my philosophical bent. The poem is fantastic poetically. Felt like a solitary train sojourn at night along dying camp-fires. Beautiful!